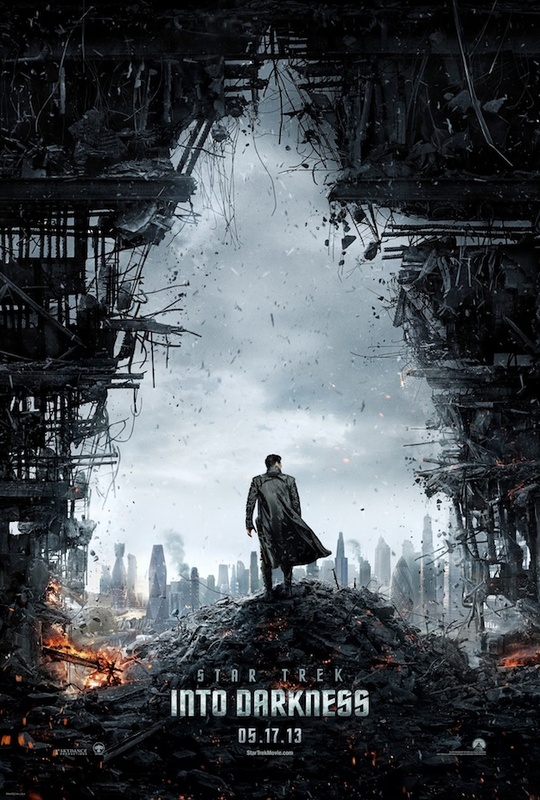 The first poster and the plot summary has been released for J.J. Abrams' highly-anticipated sequel 'Star Trek Into Darkness,' starring Chris Pine, John Cho, Bruce Greenwood, Simon Pegg, Zachary Quinto, Zoe Saldana, Karl Urban, Anton Yelchin, Benedict Cumberbatch, Alice Eve and Peter Weller. When the crew of the Enterprise is called back home, they find an unstoppable force of terror from within their own organization has detonated the fleet and everything it stands for, leaving our world in a state of crisis. With a personal score to settle, Captain Kirk leads a manhunt to a war-zone world to capture a one man weapon of mass destruction. 'Star Trek Into Darkness' hits theaters on May 17, 2013.